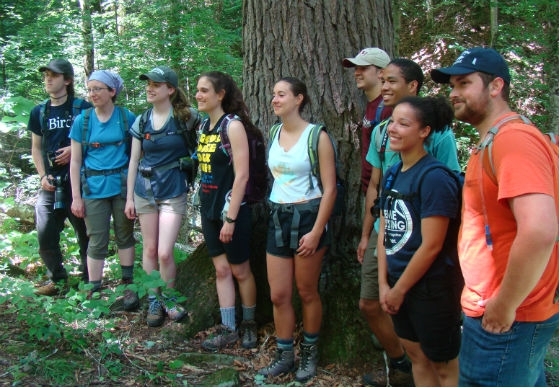 The Division of Natural Areas encourages researchers, both students and professional, to consider Maywoods, Lilley Cornett Woods and Taylor Fork as research sites. There are a wide variety of research and support opportunities at each of the natural areas. For more information, contact the Associate Director, Dr. Stephen Richter. 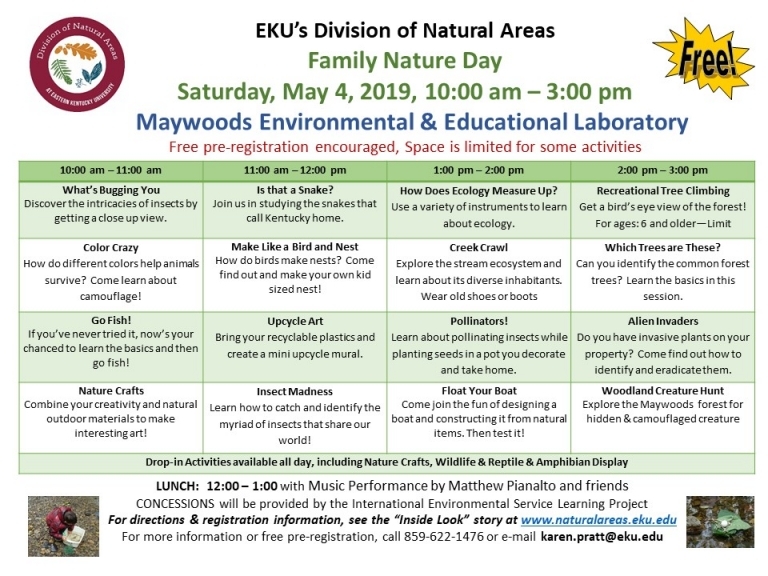 Funding for EKU and non-EKU student research projects at any of the three natural areas is available through the Student Grant-in-Aid Program. In order to conduct research at any of the sites, a proposal must be submitted in writing, prior to the research, to the Associate Director. If the research requires the collection of living or nonliving specimens, the proposal should state this. If approved, a collecting permit will be issued with specific guidelines regarding collection and deposition of specimens. Otherwise, collection of living and nonliving specimens is prohibited. Submit the completed proposal to the Associate Director. Proposal review by the Division of Natural Areas Research Committee. Committee's decision notification by the Associate Director. Upon proposal acceptance, contact the appropriate natural areas manager for a site visit. Submit a copy of the accepted manuscript for publication to the Associate Director. Submit published PDF reprint to the Associate Director.